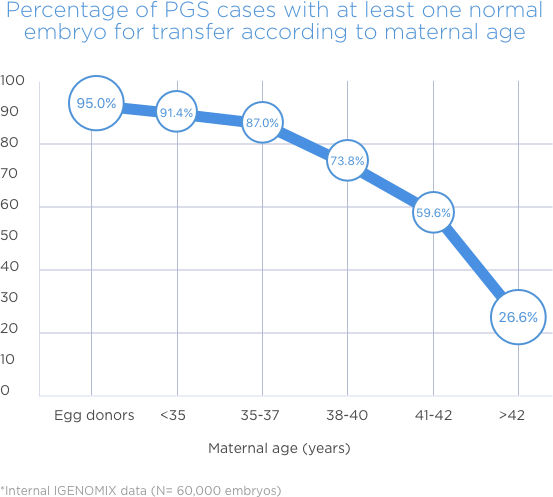 PGS is a genetic test performed on embryos to identify numerical chromosomal abnormalities (aneuploidy). The test is performed on embryos before transfer to the uterus. By analysing all embryos generated in an IVF treatment cycle those free of chromosomal aneuploidy can be selectively transferred. 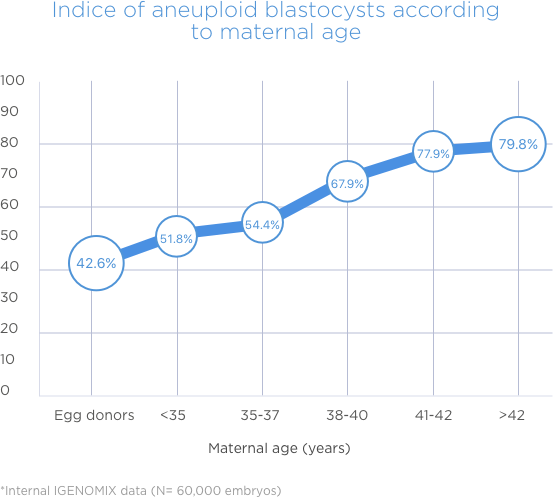 As a result, the pregnancy rates per transfer are significantly increased and the miscarriage rates decreased. Selecting normal embryos can increase the pregnancy chances after transfer. Some pregnancies with chromosomal anomalies can give rise to the birth of baby with a serious illness. The time and resources necessary to achieve a pregnancy are reduced. It helps to avoid repeating cycles of assisted reproduction. Our technology and experience allows to analyse 24 chromosomes with an accuracy of 99% among all cases. Twin pregnancy is associated with more pregnancy complications and poorer pregnancy outcome than singleton pregnancy.